The Australian Classification Board has classified a multi-platform Uncharted game 'G' (for general use).Nothing particularly unusual about that, you might think. Except, well, the Uncharted title that's just been classified by the Australian statutory body is called Uncharted: Fight for Fortune. Yep, a brand-new game. 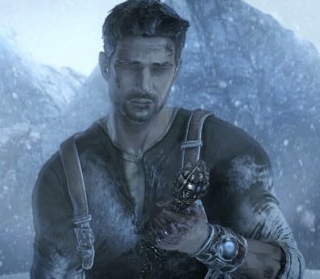 Exactly.According to the classification page for the as-yet-formally-unannounced Uncharted: Fight for Fortune, One Loop Games is on development / authoring duties for this fresh Uncharted experience, while Sony is publishing it.One Loop is known for producing console games, as well as working on mobile titles such as Ratchet & Clank: Going Mobile, God of War: Betrayal, and James Bond: Casino Royale. An eagle-eyed NeoGAF forum member has discovered that Uncharted: Fight for Fortune has been classified in Brazil as a "casino or cards" game. The listing states the game has been developed for PlayStation Vita. Let us know what you think the game will be like in the comments below!